Discussion in 'DELETED POSTS' started by Slimderek, Jun 30, 2011. Opera Mini and Opera Mobile just got... better. Today we released an update which bumps Opera Mini to version 6.1 and Opera Mobile to 11.1. It has new features we know many of you have requested, such as: Search suggestions from Google and Yandex will appear when you start typing in the search field. You can now search directly from the address bar! The search option will appear in the drop down list when you type something. The text selection is greatly improved for touch screen devices. Just click on the text you want to select, then drag the handles to adjust the selection and press "Select". Opera Turbo improvements for Opera Mobile. More speed! Improved picture quality for Opera Turbo using WebP. Go to http://m.opera.com to upgrade or download! On my way to get a copy. 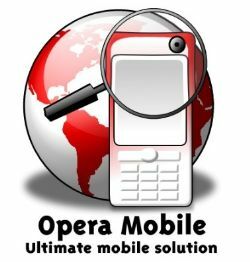 We are pleased to announce Opera Mobile 11 for Symbian/S60 is released today.